Another apartment complex is coming to the outskirts of uptown Charlotte, on the corner of South Tryon and West Morehead streets. 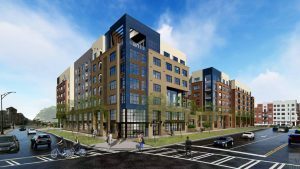 Broadstone Queen City will have 260 apartment units and is expected to deliver in the spring of 2020. Broadstone Morehead LLC is associated with Alliance Residential and purchased the 1.9 acre property.